Opposition TDs have demanded that the Government outlines a ‘Plan B’ for broadband amid concern that the project to roll out high-speed internet to rural Ireland could cost up to €3bn. The National Broadband Plan (NBP) has been beset with delays and difficulties – including two bidders dropping out – and the Government is to make a decision on the future of the plan imminently. National Broadband Ireland, a consortium led by US businessman David McCourt, is the only remaining bidder for the project that was originally expected to cost €500m. However, the Government now concedes that it will cost “multiples” of that. 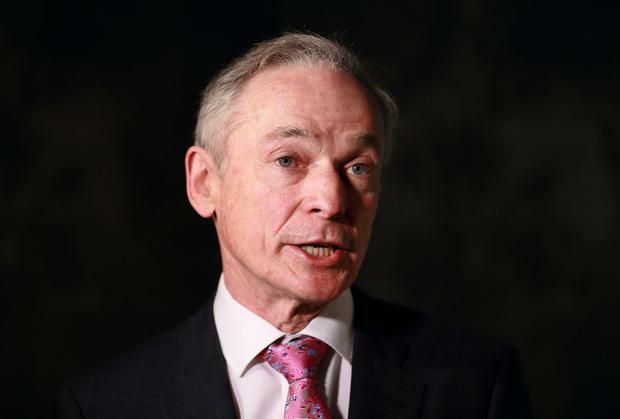 Opposition politicians raised serious concern over a report at the weekend that the contract is expected to be awarded to Mr McCourt’s consortium as part of the process being overseen by Communications Minister Richard Bruton. Fianna Fáil’s Timmy Dooley accused the Government of a “blasé approach” to a project that has “spiralled out of control in every respect, way past its deadline and way over budget”. He also raised concern about the ability of the last remaining bidder – which he said was led by a private investment fund – to deliver the project, questioning if it has the experience to do so. Mr Dooley said there should be a Dáil debate before the contract is awarded and the Government must put forward a “Plan B”. He has previously suggested that the ESB should take on the project. Labour TD Seán Sherlock said TDs “need cold hard facts from the Government on how they plan to proceed with this critical plan”. He also questioned the viability of the plan “if it’s true that the cost has risen to €3bn”. She said she still had concerns that there was a “lack of competitive tension” in a tender process with just one bidder remaining. Ms Murphy said it was “absolutely” essential the issue is debated in the Dáil, adding: “We have to have a full understanding of what this is going to cost and what the safeguards are so that it doesn’t cost multiples of the multiples of the €500m”. A spokesperson for Mr McCourt declined to offer a response to questions raised about the consortium’s ability to deliver the project. Members of the consortium have been involved in telecoms projects in Ireland and internationally and Mr McCourt also has a background in the sector. A Communications Department spokesperson said the NBP procurement process is at the final stage and Mr Bruton will shortly bring a recommendation to Government on the next steps. They added that Mr Bruton indicated that there would be a period of time between the formal appointment of a preferred bidder and the signing of contracts. In the Dáil, Mr Bruton said that he intends, depending on what decision is taken, to make “full and extensive information” available to TDs for them to evaluate. Next articleTheresa, John and Conor are going, going . . . gone?